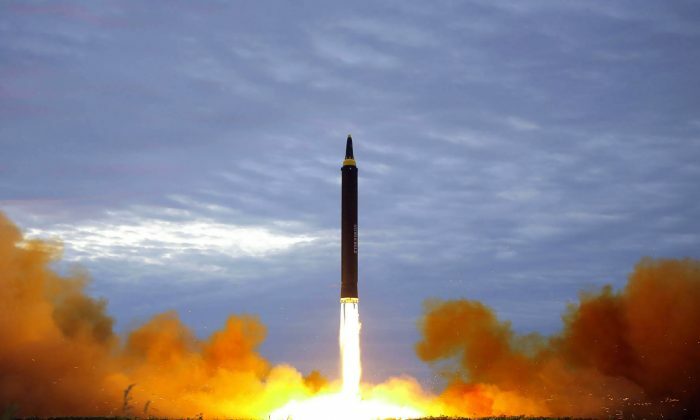 Should a nuclear attack ever occur near China’s Jilin Province, which shares its border with North Korea, residents will now know how to protect themselves—thanks to a full-page article that ran in local state-run newspaper Jilin Daily on Dec. 6. The article, titled “Nuclear Weapons General Knowledge and How to Protect Oneself,” described in great detail the features of nuclear weapons, how they explode, their after-effects, and how to take shelter and maximize one’s chances of surviving an attack. For instance, if one is situated outside: either hide in a ditch and cover one’s exposed skin with light-colored clothing, or submerge oneself in a nearby river or lake, the article advises. The article did not mention by name North Korea, Jilin’s neighbor that has recently heightened tensions with a slew of nuclear tests. But considering that North Korea’s nuclear site is estimated to be about 47 miles from the border with Jilin, the precautions are probably a good idea, should tensions further escalate. Tonghua City, with 2.3 million residents, is about 124 miles from the North Korean border. 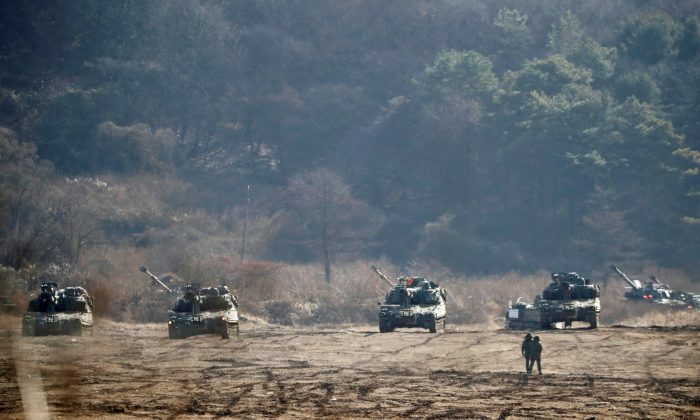 South Korea and the United States recently launched their largest-ever joint aerial drills on Monday, Dec. 4, a week after North Korea said it had tested its most advanced intercontinental ballistic missile in its weapons program. The Chinese are clearly getting prepared too. 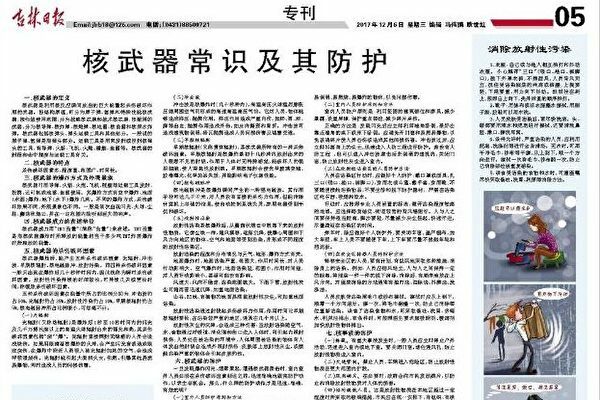 After foreign media began reporting on Jilin Daily’s article, local authorities responded to the attention in a piece published in the Beijing News, a more prominent publication than the Jilin Daily. He added that it was just “common sense knowledge” readers should have and that the outside world should not read too much into it. Xu Jian contributed to this report.